I love buffet!!! It gives me the freedom to eat anything I want. If you are not on a diet and you never mind getting extra pounds from eating delicious stuffs, I suggest you treat yourself into a buffet restaurant, and when you are here in Korea, you can have so many selections of that type of restaurants all over the city, but the place I will gladly recommend is the Self Bar Buffet Restaurant which is located in Hyehwa-dong in Seoul. Whether you come there by group, or with one or two companions or alone, it doesn't matter. Inside the restaurant, there are a lot of tables that could accommodate a number of people. The place could turn out as a good venue for a reunion or just to hang out with friends. I went there during lunch time to catch up with my classmates in photography class after how many months of not seeing each others. We really enjoyed our chit chat in this awesome resto as much as we enjoyed the food. 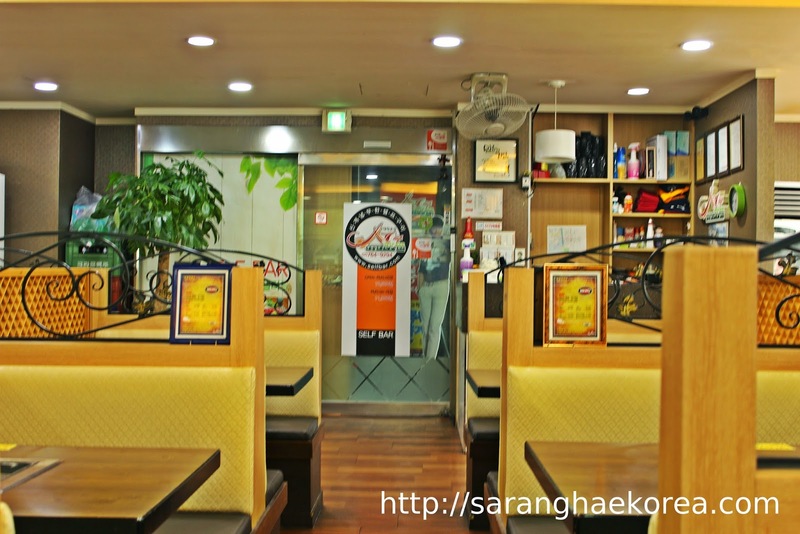 Self Bar restaurant offers a variety of food for their customers to enjoy. 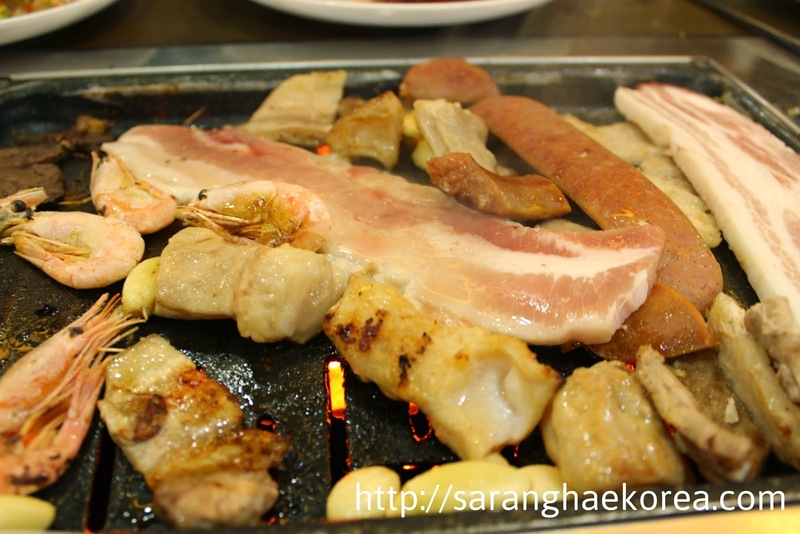 You can have different kind of meat like pork and beef which you can grill in your respective tables the Korean way. Aside from the unlimited meat which is usually for Samgyeopsal, galbi and barbeque, there are also some seafoods, sausages and bacons available. You can literally eat with gusto all these kind of foods. 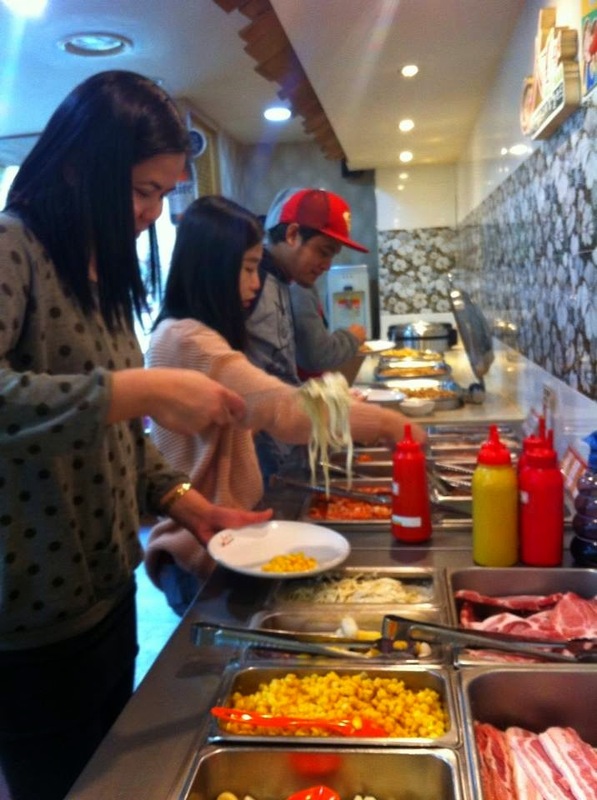 Aside from the unlimited meat for barbeque, you can also enjoy other types of food like Carbonara, fruits and soup. I consider Self Bar now a haven of food which really taste good. I also like how they presented the food in the table and make everybody feel free to get what they want. I also like the ambiance of the place, it's clean and peaceful, a place you would choose if you want to talk to somebody whether intimate, casual or even a group meeting. I know Hyehwa is a place where Filipinos gather every Sunday for flea market, remittance, Sunday mass and whatnot, but it is also a theatre district where Koreans go to watch Korean musicals and theatre, so we need a restaurant like this in the area. 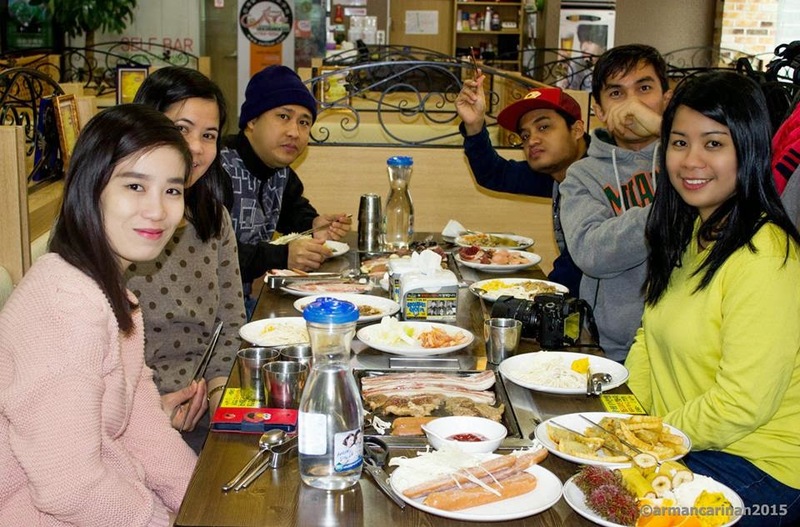 For only 9,900 Korean Won, you can enjoy unlimited food at Self Bar Buffet restaurant. But wait, don't get too excited because if you have left-overs, you will pay 5,000 Korean won as a penalty. So to avoid penalty, get only what you think you can accommodate to your stomach, don't be too greedy. 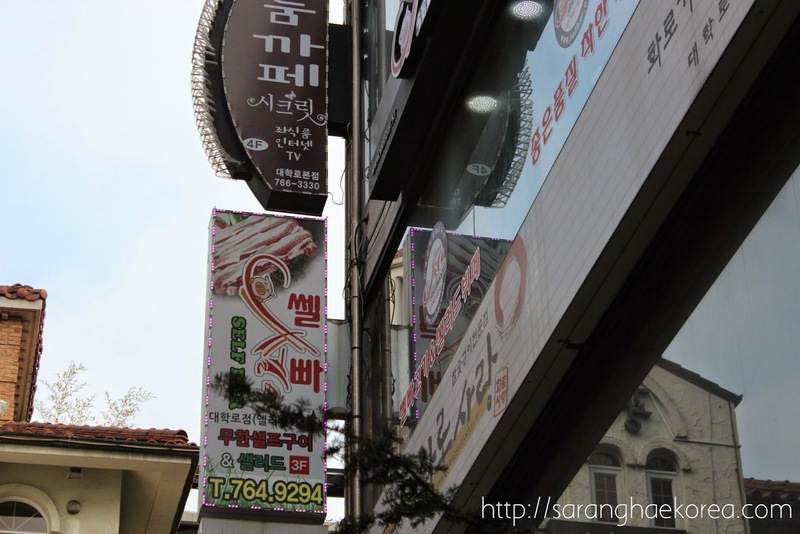 Self Bar is located near the Exit 2 of Hyehwa Station. It is very accessible for everybody. If I ever going to be in Korea - I will totally visit this bar! You really made me curious with this post. thanks a lot for sharing your experience and giving us new ideas.